The flow of private sector resources to developing countries has increased significantly in recent decades. 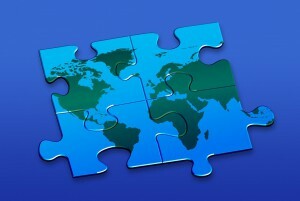 Modern public-private partnerships (PPP’s) and foreign direct investment (FDI) characterized by joint planning, joint contributions, and shared risk are viewed by many development experts as an opportunity to leverage resources, mobilize industry expertise and networks, and bring fresh ideas to development projects. Partnering with a government agency can bring development expertise, resources, access to government officials, credibility and scale. The team at GPS will work with you to identify funding sources that are ready, willing and able to invest in targeted projects. Some feel that the goal of mainstreaming FDI and PPP models as a tool for economic development has already been achieved and they are ready to declare victory and move on. The business development advisors at GPS contend that the potential for using FDI and PPPs in development has only begun to be realized and that expanded partnerships are the future of development assistance.